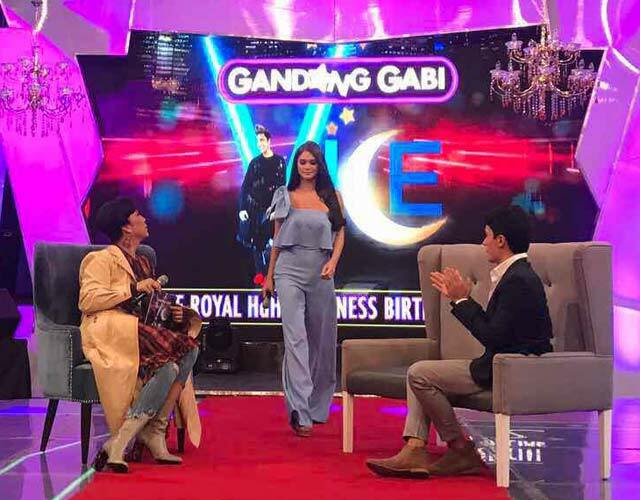 Pia Wurtzbach and Marlon Stockinger (right) guested on Vice Ganda's TV show before model Kit Barraquias said Marlon is the biological father of her kids. 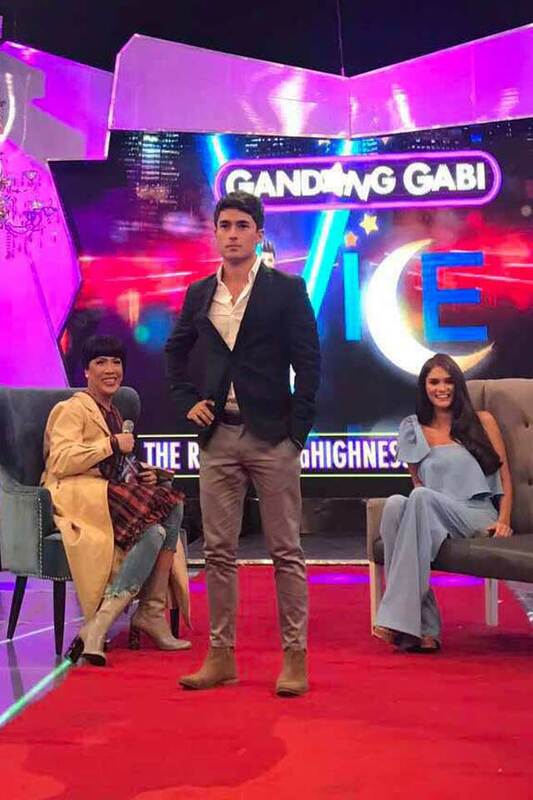 Miss Universe 2015 Pia Wurztbach and racer Marlon Stockinger sit down in an exclusive tell-all interview with Vice Ganda this Sunday (April 2) on the second part of Gandang Gabi Vice: The Royal Haha Highness Birthday Special. For the first time on television, Pia and Marlon go no-holds-barred as they reveal “kilig” details about their love story and share how the universe conspired to make their paths and hearts meet. The two also gamely participate in Vice’s challenge to know who really is taller than the other using a giant measuring stick. 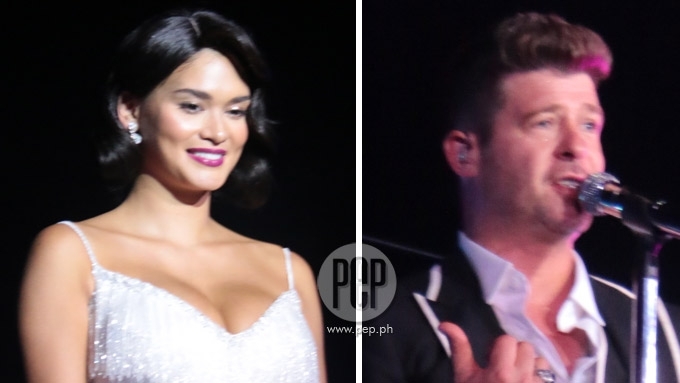 Will it be Marlon or Pia? Vice Ganda is not the only one who has gimmicks up his sleeves because Pia calls in his former opponent and co-candidate in a gay beauty pageant and challenges the two in an on-the-spot pageant showdown. In the teaser of the GGV episode, Pia admitted, “Crush ko siya 2014 pa lang. Candidate ako sa Bb. Pilipinas. E, di ba, nung year na yun, hindi naman ako nanalo? A rare TV moment happened on the Gandang Gabi Vice stage as Marlon formally asked Pia to be his girlfriend. 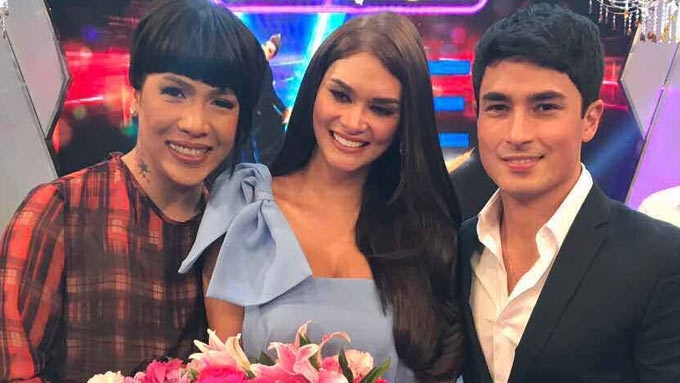 The GGV guesting of Pia and Marlon took place before model Kit Barraquias said that Marlon is the biological father of her kids. 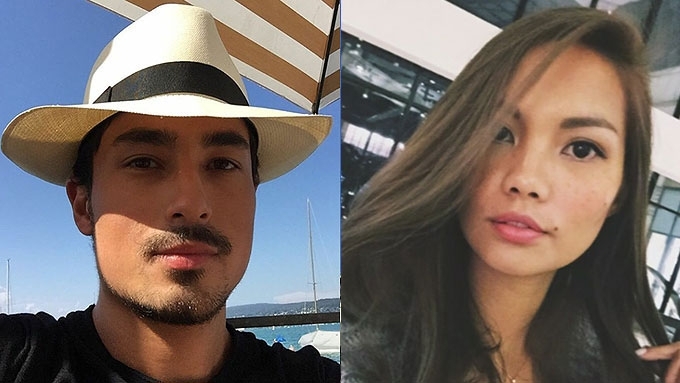 In an exclusive article published on PEP.ph (Philippine Entertainment Portal) last March 31, the former girlfriend of Marlon said that he is the father of her twin daughters who are now seven years old. Pia Wurtzbach asks: "Ano gusto niyong pag-usapan?"